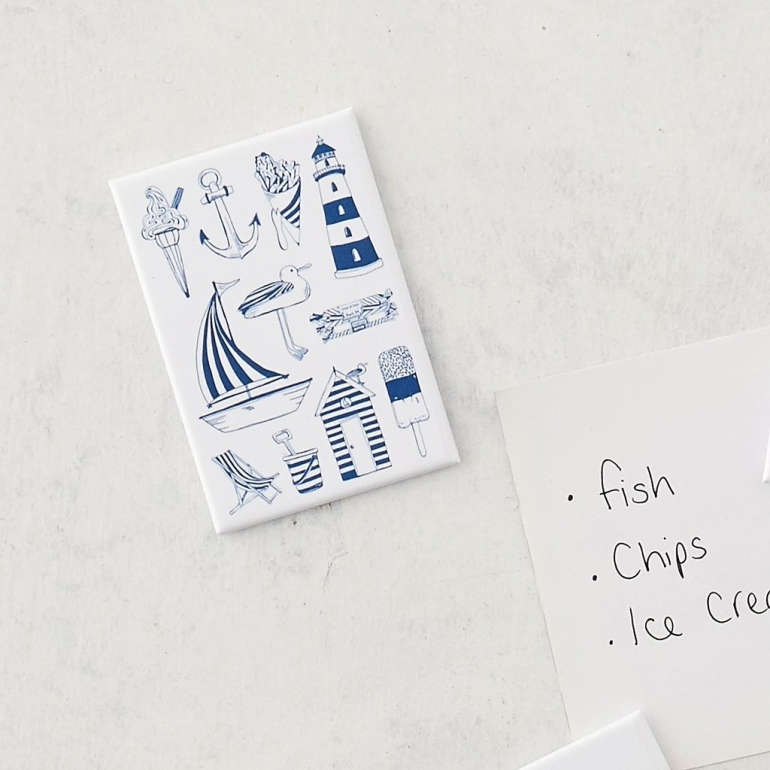 This beautifully hand illustrated Seaside magnet highlights a nostalgic and whimsical view of beaches in the UK. The design includes a beach hut, lighthouse, sailing boat and sticks of rock. 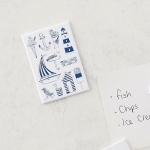 This nautical magnet by Victoria Eggs is a perfect souvenir of your trip to the British seaside.